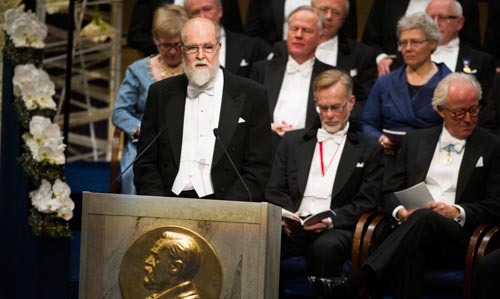 Presentation Speech by Professor Gunnar Karlström, Member of the Royal Swedish Academy of Sciences; Member of the Nobel Committee for Chemistry, 10 December 2013. This year’s Nobel Laureates in Chemistry Martin Karplus, Michael Levitt och Arieh Warshel have developed methods based on models from physics, which we use aided by computers to look into the world of molecules and to understand the function and behaviour of chemical systems. To get some perspective on the birth of these methods it is appropriate to go 50 years back in time. At that time I first came into contact with chemistry. It was at secondary school in Landskrona, and I was lucky to have an excellent teacher with more experience in chemistry than in pedagogics. His experiments and his knowledge fascinated us students, and without his teaching I would not have been standing here. However, chemistry has been completely transformed since then. All areas have developed with enormous speed, but I think that many chemists agree with me that three things have characterised this process more than anything else. First of all, the borderlands between chemistry and biology have been completely transformed, and we frequently return to this fact on December 10. Today chemistry is the science of life, and the language of chemistry has become the language that chemists, biologists and medical specialists use to describe the processes of life. Secondly, chemistry has been theorised. The boundary between chemistry and physics has almost disappeared, and today there are research fields like theoretical chemistry, chemical physics and nanoscience at many Swedish and foreign universities. Chemists have adopted part of the language of physics. The third change has occurred in our society as well as in chemistry. The computers have completely changed many aspects of our lives. Today we can hardly buy a car, a washing machine, a spectrophotometer or any other chemical instrument without a computer. Computers are used in all parts of our lives. In particular they are used to model chemical systems and processes, often based on equations imported from physics. This modelling requires very large computer resources, and the choice of equations and approximations is vital. 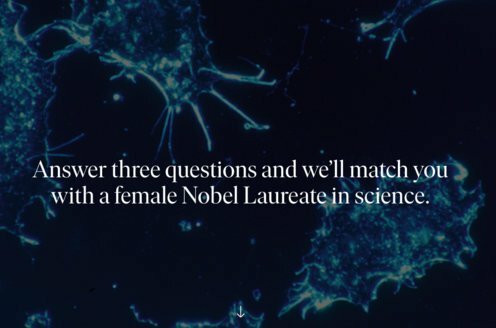 It is here in the union of these lines of development that this year’s Nobel Laureates have been working. At an early stage they realised the importance of computerisation and developed efficient computer models based on theories borrowed from physics that were suited to describing chemical systems and processes. Their models and ideas can be used in all parts of chemistry, but have perhaps been most important in the fields of biochemistry and molecular biology. Perhaps the most important aspect of their work is that theoretical modelling of chemical systems also gives us insights into why processes occur or do not occur, enabling us to improve the performance of an enzyme or a catalyst. Martin Karplus, Michael Levitt and Arieh Warshel. Your ideas and the methods you have developed to study the properties and behaviour of chemical systems have revolutionised many branches of chemistry and made it possible to study the behaviour of chemical systems in the finest detail. This is truly a great achievement. On behalf of the Royal Swedish Academy of Sciences I wish to convey our warmest congratulations, and I now ask you to step forward and receive your Prize from the hands of His Majesty the King.